In the last few weeks I've had the opportunity to explore how to create interactive chord diagrams that transition from one state to another. It's tricky. You need to do some caching of layout information in order to get a smooth animation that makes sense to the user. You also need to think a little about how things get sorted on the screen by D3. Keeping the order as stable as possible from transition to transition makes the diagram easier to follow. 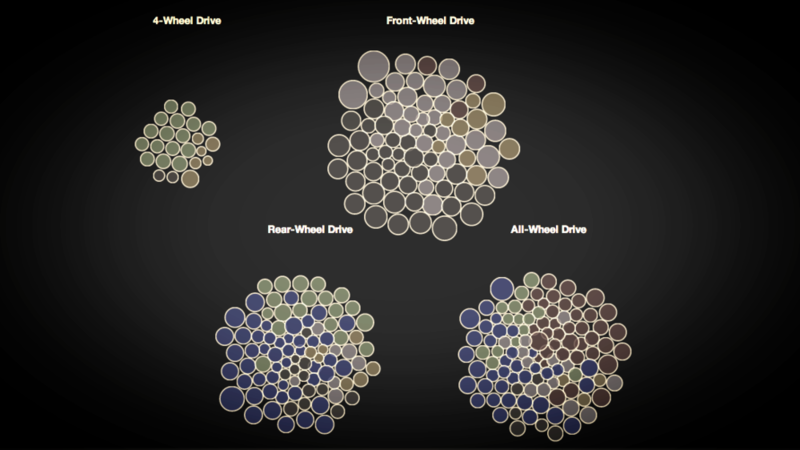 Let's make a data visualization in AngularJS! It's all the rage. Let's Go! 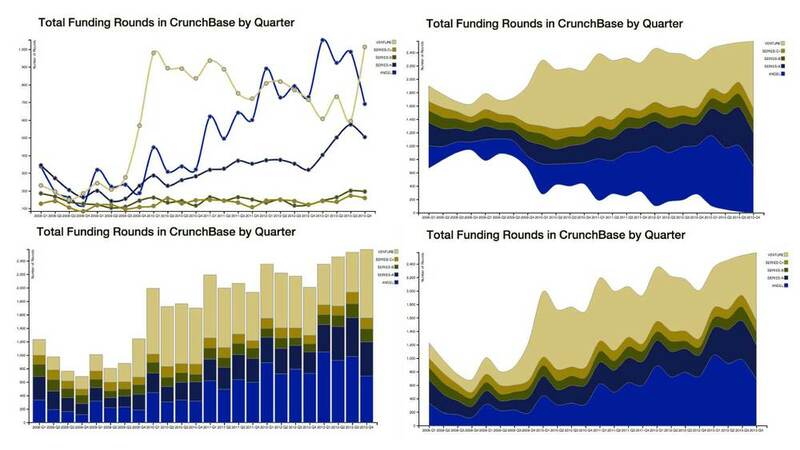 Making line charts or bar charts that have several different series of data can be challenging in D3. It adds a level of complexity that you don't encounter in making a simple single bar or line chart. Along with requiring some knowledge of D3's many layout tools, it requires doing some fairly complex manipulations to the data to create the chart. This post looks at multi-series line, stacked bar, stacked area, and streamgraph charts and should help you on your way to make just about any chart you need. This week I am continuing to experiment with rendering fractals in D3. In this post we're looking at examples of generating some really cool fractals called dragon curves (also referred to as Heighway dragons). This post is a continuation of theprevious one on fractal ferns. Take a look at that post if you want some basic info on fractals and some links I found useful. Fractals are a world unto themselves, so there are plenty of interesting things to be investigated in this area. We are just scratching the surface with these two posts. 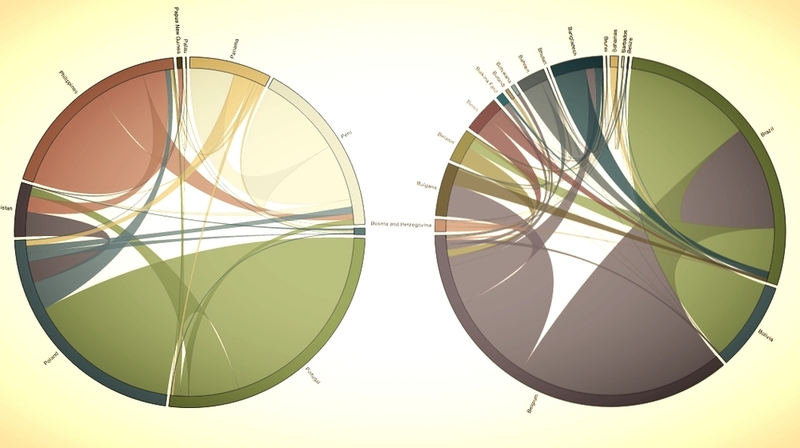 Using the force layout in D3 to produce a bubble chart for categorical data can be a good choice for communicating the message your data has to offer and has the side benefit of being a real crowd-pleaser visually. In this post I am going to explain how to produce the three example below using the force layout. I am also going to present a method I use to produce these quickly by laying out the graphic using the treemap layout (for rectangular schemes) and the pack layout (for radial schemes). Chord diagrams in D3 are one of the more difficult chart types to produce from raw data. Fundamentally, you have to construct both a matrix and a mapping that explains how the matrix is composed and contains other meta data in order to render a complete diagram with appropriate coloring and labels. This week I have been working on maps that present data using hexbins. This is a novel way to present information and can be a powerful way to deal with cases where there are a large number data points. In this post I am using data from Starbucks and Dunkin' Donuts as a way to test out this way of mapping information. SVG editors, like Adobe Illustrator, can produce some incredible visual effects that would be difficult to achieve otherwise. The outputted files can be used in your data visualization and manipulated by D3 just like when you have D3 create the SVG element on the fly. This can be very useful because a designer can work in parallel creating elements in their favorite editor and, with some agreement on layout, development can continue on the project using some placeholder elements that will be replaced by the final designs. Object constancy refers to making transitions between views of your data that allow the user to track individual data points as the change on the screen. The user can watch as the data point shrinks, expands, or exits the screen based on filtering or other interaction. Done well you can significantly improve the user's ability to understand the data you are presenting and help them find patterns that would be otherwise difficult to spot.